What's more autumnal than a pumpkin? 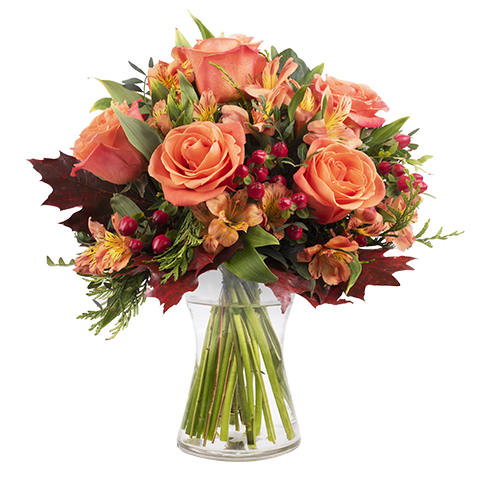 This was the inspiration for our bouquet of orange roses and alstroemerias, combined with oak leaf and hypericum. 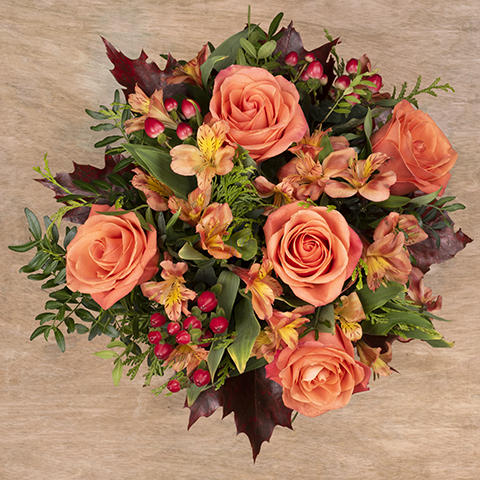 Share this magical seasonal bouquet and send someone special a perfect surprise. 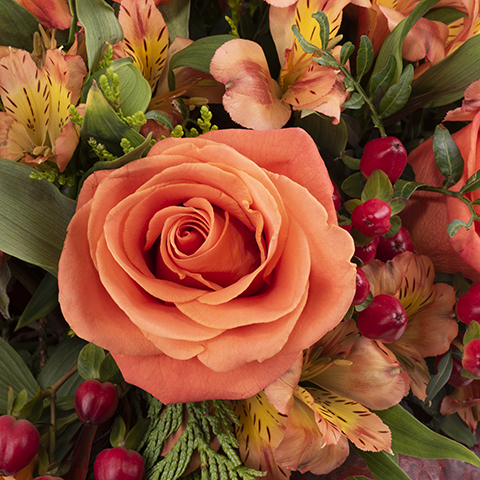 Remember, roses never fail to impress! Great service !!! on time and beautiful flowers. Everything perfect! I just loved it! Perfect both service and product. Very well drafted and beautiful ! Flowers are beautiful, nice service.